Immortal halfback Andrew Johns has sent a wake-up call to Panthers star Nathan Cleary, telling him to take charge of his misfiring team. Cleary, who is also under siege from Roosters ace Luke Keary for his NSW Origin position, is yet to find strong form in a 1-2 start to the season for Penrith. Johns said on Freddy and the Eighth that Cleary (21) needed to seize the reins from older half James Maloney (32), his partner for the Panthers and Blues. Maloney has touched the ball more often than Cleary in all three games so far this season, with the ledger 57-43 in Saturday's loss to Melbourne. “I think Nathan needs to assert his dominance on this team and get more touches of the ball,” Johns told Wide World of Sports. “He’s playing too much like a five-eighth and letting Jimmy (Maloney) steer the ship around. “Nathan’s playing like a second-fiddle to James Maloney. He’s got to get in and say, ‘Jimmy, you’re five-eighth, I’m the main orchestrator’. NSW coach and Penrith great Brad Fittler agreed. Both he and Johns accused the Panthers, coached by Cleary’s father Ivan, of being preoccupied with trying to set-up big plays rather than simply playing fast, attacking football. “Joey’s right, he (Cleary) has got to get the ball,” Fittler said. “At the moment, you watch Penrith, especially against Melbourne – it would have taken them four months to score a try. Johns said: “I watched the Bulldogs on the weekend: they simplified the way they’re playing. When their forwards went forward, their big men were tipping on (passing) to their back-rowers, the halves were buzzing around the ball, everyone was pushing forward and supporting each other. Johns accused Cleary and Maloney of being too lethargic in attack. “One thing: when you do our plays, do them at speed,” he said. Johns said that the mounting pressure on Penrith, rated a premiership contender this year, was not unwarranted despite the season being just three rounds old. Fittler said solving Penrith’s problems would be Cleary and Maloney’s only concern for now, not the battle for their Origin positions. 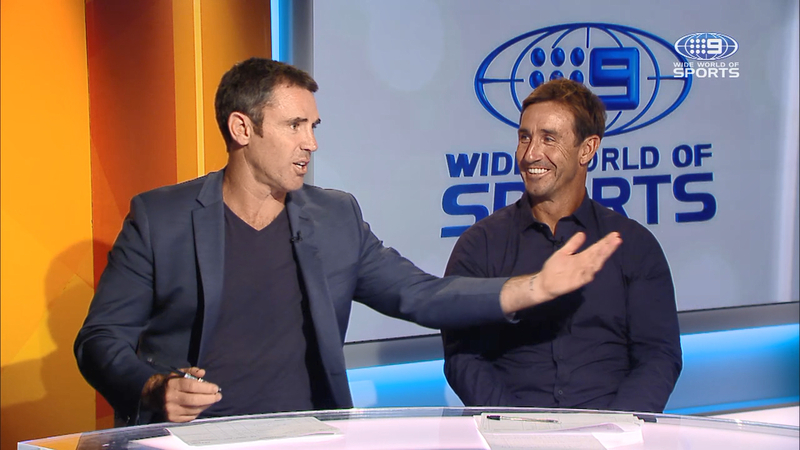 “They’re not thinking about Origin at the moment,” Fittler said. “They’re in a bit of pain out there at the moment. They’ve had a really tough off-season with some scandals and so forth, obviously a lot of talk about father and son, and things aren’t working out that well at the moment.